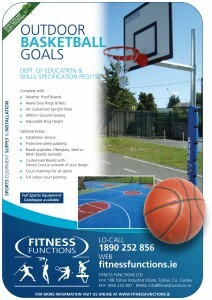 Schools Outdoor Basketball & Goalpost Leaflet. 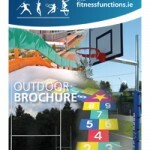 Recently we posted our Outdoor Basketball & ‘Goals for every game‘ flyer to Irish schools. We manufacture Outdoor Basketball to Department of Education specifications & can also supply the appropriate safety padding. All relevant standards are adhered to when manufacturing our Goalposts which come in a range of sizes, made from either steel or aluminium. 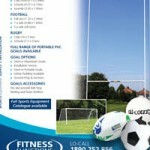 We produce goalposts for all sports but mainly GAA, football and rugby. Irish Goalposts – A Goal for Every Game. Our Goalposts – A Goal for Every Game. 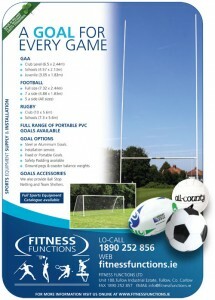 Fitness Functions manufacture and supply quality goalposts from our facilities in Co. Carlow. 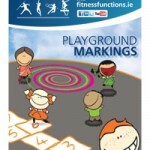 Irish Schools, universities, GAA, Football and Rugby clubs make up the majority of our customers. Our goalposts are supplied in either steel or aluminium as either fixed or portable units. All our goals come in a varying sizes (see below) ensuring that our customers will find a goal that suits there sports requirements and budget. 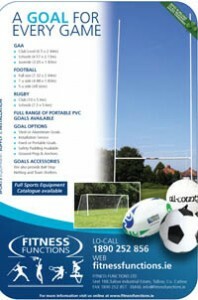 We also provide a goalpost installation service, if required. We can also supply a range of goalpost accessories such as safety padding, balance weights, ball stop netting and team shelters. We have supplied & installed electronic scoreboards in Irish schools which conform to the Department of Education school standards for several years now. 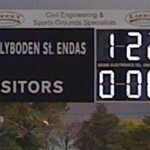 Recently we have started to supply GAA clubs around the country with LED (light emitting diode) scoreboards. All electronic design, control circuits and electronic assembly is completed in Ireland which means we don’t depend on other companies for specialised parts or technical support. Simple to operate, see below. No maintenance & Low operating costs. 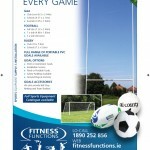 GAA Club scoreboards available in 2 sizes. The GAA scoreboard is fabricated from an aluminium composite sheet with aluminium sign rails glued and riveted to the rear. The displays are surrounded by a welded and galvanized light guage steel frame. The displays are protected by a 4mm polycarbonate front. A weather proof box at the rear houses the mains power supply unit. The GAA team names are yellow vinyl letters on black plastic tiles which stick to the scoreboard. The GAA scoreboard is made for simple mounting on 2 steel poles, very similar to a road signage, the scoreboard can also be wall mounted. 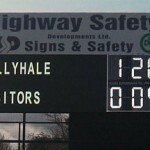 The GAA Club Scoreboard Displays. 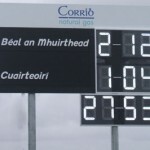 The GAA scoreboard displays or digits are probably the most important part of the product and determines the final cost. 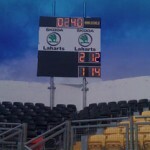 It is very important to understand the display in order to compare different GAA scoreboards. We use led (light emitting diode) displays. The leds are made by Cree, a world leader in optoelectronics. The scoreboard display type we use for scores is known as a “seven segment display”. This means there are seven segments arranged as an 8. The combination of segments that are lit determines the number displayed. GAA Club Scoreboard Viewing Distances & Sizes. The height of the display is what determines the viewing distance. 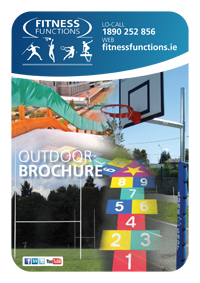 Our GAA scoreboards are available in two sizes; 450mm (18 inches) high digits giving a viewing distance of 600 feet ( 180 meters) and 380mm (15 inch) high digit giving a viewing distance of 460 feet (140 meters). A frequently overlooked characteristic of a digit is the number of leds per display. This is a bit like comparing standard TV with HDTV. Our large scoreboard digits are available in 2 formats, Standard and HD. Standard; each segment is made up of 36 individual leds or 252 leds per digit. HD; each segment is made up of 64 leds or 448 leds per digit. The digits are available in 2 colours, Amber and White. White is more costly to produce. GAA Scoreboard Operation made simple. As the scoreboard will be operated by a variety of people from all walks of life it is important to keep the operation as simple as possible. There are four toggle switches on the remote control. They can be pushed up or down. The 2 top switches operates the upper score on the scoreboard. The 2 bottom switches operates the lower score on the scoreboard. A score is added by pushing the appropriate switch up and a score is subtracted by pushing the appropriate switch down. To Reset; Hold the top right switch up for more than 5 seconds. Operating range up to 200 meters. Powered by standard 9 Volt (PP3) battery.